If it can be printed, then we can do it for you! We offer a wide variety of services and finished products, complete from concept to the printing and distribution of your product. 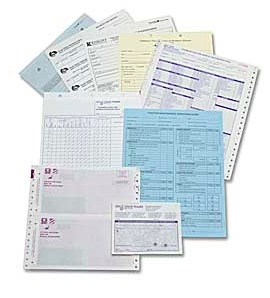 Here are just a few of the products and services that we provide:Buyers Orders, Invoices-Service, Parts Statements, Work Orders, Cash Receipts, Purchase Orders Checks- A/P, Payroll Deal Jackets, A/P Voucher Envelopes, RL-78 Tags License Frames, Polyboard Plates, Warehousing Fulfillment. Our prices are always competitive and you'll love our speedy, dependable, professional service. Please give us an opportunity to bid on your next project! Contact us!